Last year, I trained for and ran a half-marathon. I used to hate running when I was growing up, but now as a mother – it’s a gift to me. I love the silence, the space to think and I especially love how strong I feel afterwards. But there was one run which stands out from all the rest. Thankfully, I did not do or say what I was feeling. Instead, I pulled myself to a halt, took a drink of water and let them pass on by. They gave me the runner’s wave and were completely unaware of my irritation. I composed myself and continued my run to the end. “What was that?”, you might ask. Well, that was (what I call) the “triggery-me”. The part of me that was reacting to something external, causing discomfort and pain on the internal. You see, when I was about 18 years old, the guy I was dating at the time, commented on my leg vein saying, “It’s f*#%ing disgusting.” He said it with a snarl and left the room, leaving me with a guttural punch to an already damaged self-esteem and body image. I’m sure you’re wondering why I didn’t just slap him in the face and walk away… I used to wonder that too. Abuse is a crazy, hard-to-explain thing though. I never would have thought I would be the receiver of such treatment (I was way too strong for that, right? ), but I did. It was an unbelievably slow boil, a handful of years later, and there I was just internalizing all of it. Those runners? They were mere triggers. They didn’t do anything or say anything to induce such agitation and anger in me. They were just there. My past pain and fears were brushed up against and I felt the internal flare up. When we brush up against people, places or circumstances that remind us of our pain or fears, we are triggered. It’s when we experience the discomfort, the churning stomach and the soul bullies chiming in. These are the exact moments we want to understand. We want to get to the root of why we are (internally or externally) responding a certain way. One way that has been helpful for me to do this is to think of that “triggery me” as a separate part of me. How old is that part of me, who feels irritated, hurt, insecure and angry? What did she experience that might give us insight to her current reaction to things? What was she afraid of? How did life disappoint or hurt her? My 18 year-old-self was in an abusive relationship, isolated and coping with an eating disorder. This girl felt invisible, not enough, unworthy of love and acceptance. Whenever I’m visited by anger, fear or not feeling good enough, not always, but most of the time it’s because my 18 year old self is being triggered. Once I identified this part of me, it has made it that much easier for me to deal with the underlying, root causes of my pain. What are your moments of breakdown? When do the bursts of anger, bouts of tears, inundation of soul bully thoughts come? Can you identify an age to this terrified, insecure, hurt version of yourself? 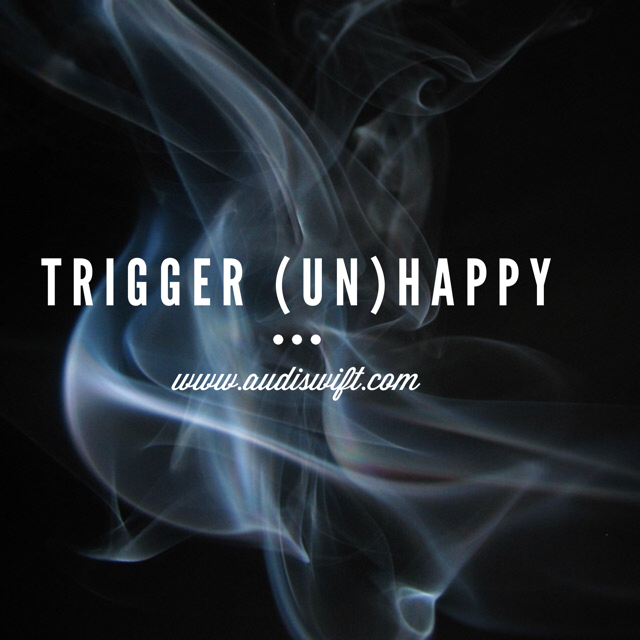 Does this help you understand some of your triggers?